In their common desire to conduct research and gather information on Aboriginal social issues, demographers and other specialists in populations, both Aboriginal and non-Aboriginal, have often neglected two basic questions: Why is it so hard to define Aboriginal populations in Canada? How can the recent demographic explosion be explained? The answer to these questions is essential, since they play a significant role in the enumeration of Aboriginal populations (Which definition shall be used? ), in the monitoring of their socio-economic characteristics (How shall recent trends be interpreted?) and in the development of policies and programs aimed at improving the living conditions of Aboriginal populations (Who are the recipients?). The purpose of this article is to examine these two fundamental questions using a demographic perspective. Who are the Aboriginal people of Canada? Many definitions of the concept of ‘Aboriginality’ have been proposed over the years, and more so since the early 1980s, mirroring the growing awareness of Canadian society towards Aboriginal issues. However, to date, no definition has fully imposed itself. The Census of Canada, the only source of demographic and socio-economic data covering all Aboriginal groups in Canada, gathers information on four concepts: ethnic origin, self-identification as an Aboriginal person, Registered Indian status and membership to a First Nation. Such data serves to estimate the size and characteristics of Aboriginal populations in Canada, in whole or in part. The first three concepts, i.e. those appearing most often in definitions, are detailed below. For the longest time, ethnic origin was the ethnocultural characteristic most widely used in Canada to establish Aboriginal affiliation. With the exception of 1891, all Canadian censuses since 1871 have enumerated Aboriginal populations by means of a question on ethnic origin. The concept of origin refers to the ethnic or cultural group to which a person’s ancestors belonged. In theory, this concept could serve to identify the descendents of populations who lived in America when Europeans arrived, in the sixteenth and seventeenth centuries (Robitaille and Choinière 1987). In reality however, since very few people have thorough knowledge of their ethnocultural genealogy, only a fraction of true descendents from pre-colonial Aboriginal peoples report an Aboriginal origin during a census. In addition to genealogy, census data on ethnic origin varies according to societal concerns in general1 and the nature of the socio-political relations the Canadian society maintains (or not) with Aboriginal populations.2 The Census of Canada shows that 1.678 million persons reported at least one Aboriginal origin in 2006. In Canada, like in many other countries with an Aboriginal population, there are legal definitions of Aboriginality (Lee 1990). The Indian Act is the main Canadian legislative document explicitly defining a specific subset of Aboriginal populations: Registered Indians (or Status Indians). The concept of Registered Indian was established to determine the right of residency on Indian reserves (Savard and Proulx 1982). The first version of the Indian Act in the confederative era dates backs to 1876. Since then, the federal government has made several amendments to it. The latest amendments to the Indian Act were made in 1985. According to the Census of Canada, the population self-reporting as Registered Indian, as defined by the Indian Act, came to 623,780 persons in 2006. Intuitively, one would be led to believe that there is a ‘hierarchical structure’ to these three concepts of Aboriginality: the Registered Indian population could be a subset of the population with Aboriginal identity, which in turn could be a subset of the population with Aboriginal origin. However practical or logical this worldview may appear, the actual data shows a much more complex reality. Indeed, the populations as defined by these three concepts overlap in part (Fig. 12.1). Together, the concepts of Aboriginal origin, Aboriginal identity and Registered Indian define seven subsets of different sizes, the total of which comes to 1.8 million persons. The two largest subsets are composed of people self-reporting Aboriginal origin, Aboriginal identity and Indian legal status (572,140) and people reporting Aboriginal origin only (632,760). The other two ‘one-dimensional’ subsets—Aboriginal identity and Indian legal status only—respectively include 80,735 and 9,810 persons. Admittedly complex for the layperson, this illustration of the fuzziness of ‘Aboriginal group boundaries’ between Aboriginal and non-Aboriginal populations still hugely simplifies the reality. To further illustrate these ‘fuzzy group boundaries,’ Table 12.1 shows the Canadian population by Aboriginal origin and Aboriginal identity according to the 2006 Census. This table shows 15 different possible responses related to origin, covering single (e.g., North American Indian) and multiple (e.g., North American Indian and non-Aboriginal) responses. As for Aboriginal identity, the census question provided eight possibilities: North American Indian, Métis, Inuit, non-Aboriginal and four multiple Aboriginal responses (e.g., North American Indian and Métis). According to this ‘two-dimensional’ representation of Aboriginality, there would be 119 different ways to be an Aboriginal person in Canada, 17 times more than in the previous illustration of the fuzziness of ‘Aboriginal group boundaries.’ If we try to specify this representation by adding other dimensions, like Indian Status (Status or non-status) and membership to a First Nation (member or non-member), we arrive at a definition including 479 ‘types’ of Aboriginal people. From this brief analysis of concepts and definitions, it is clear that there is no simple and single answer to this question: ‘Who is an Aboriginal person in Canada?’ Evidently, the concept of Aboriginality in Canada is multidimensional, with each dimension showing a different population count and its own level of complexity. In other words, ‘Aboriginal group boundaries’ are fuzzy in Canada. But it was not always the case. At the time of ‘first contact’ between Aboriginal populations and European explorers, these ‘group boundaries’ were clearly defined. Why is it harder to define and enumerate Aboriginal populations today? The answer to this question is to be found in the concept of ethnic mobility, which we will develop further on. Another interesting observation resulting from the analysis of Census data is that, independently of the concept used to define Aboriginality, Aboriginal populations experienced a demographic explosion during the 1980s and 1990s. From 1986 to 2006, the size of the population with Aboriginal origin (Table 12.2) went from about 712,000 to 1.678 million people, an overall relative increase of 136 %, which is more than six times the relative increase observed for the population with non-Aboriginal origin (22 %). At this rate, the population with Aboriginal origin will easily total over two million people in 2011. Growth varies significantly from one Aboriginal identity group to another. First, the North American Indian population, which accounts for nearly two-thirds of the population with Aboriginal identity, rose from 329,730 persons to 647,020 persons from 1986 to 2006, literally exploding during the first intercensal period (7.1 %). After 1991, growth (0.9 %) first dropped below that of the non-Aboriginal population (1.1 %), before returning to rapid growth for the last two periods (>2 %). The number of Métis more than tripled from 1986 (103,085) to 2006 (330,735) and the growth rate has accelerated from period to period. The Inuit population, with 49,635 persons in 2006, is not increasing as fast as the other two Aboriginal populations, but its growth rate is still two to three times higher than that of the non-Aboriginal population. Finally, for the population of Aboriginal origin without Aboriginal identity (i.e. descendents of Aboriginal people) from whom we expected a growth somewhere between that of Aboriginal and non-Aboriginal people, given the mixed origins of a great majority of them, the rates posted during the first two intercensal periods are comparable to those of the Indian identity population. The Aboriginal populations’ growth rate approaches and sometimes largely exceeds the theoretical maximum of 5.5 % per year5 for a population that is only subject to the natural movement of births and deaths which, in practice, is the case for these populations on the national scale.6 A natural growth of 5.5 % per year involves a fertility of about 10 children per woman. The fertility of Indian, Métis and Inuit women varies from two to four children per woman (Norris et al. 1996). A population maintaining a growth rate of 5.5 % per year doubles every 13 years. After a hundred years, that population would be more than 200 times larger than at the outset. For North American Indian and Métis populations, which growth rate has exceeded 5.5 % per year, the longitudinal analysis of the size of cohorts from 1986 to 2006 shows increases that are impossible to explain just by the effect of natural increase and migration (Fig. 12.2). For a population that is practically closed to migration, the size of cohorts should decline year after year as a result mortality (<0 %). Yet for most cohorts of Indian and Métis identity, the complete opposite happens. Between 1986 and 2006, the relative growth of cohorts aged less than 55 is positive (>0 %), meaning that the number of individuals born the same year is increasing rather than decreasing! Among the Métis, cohorts aged from 15 to 44 in 1986 doubled (>100 %) during this period. Evidently, phenomena other than fertility, mortality and migration are at play here. Every census a certain number of individuals are missed (undercoverage), while others are counted by mistake or more than once (overcoverage). The difference between these two quantities is called net undercoverage. If the net undercoverage rate varies, the growth measure derived from the comparison of a population’s size in two successive censuses is distorted.7 If the net undercoverage rate is constant, we then have a ‘true’ measure of relative growth. On the basis of information available on the undercoverage of the population living on fully enumerated Indian reserves and settlements, there is no spectacular variation in count quality from 1991 to 2001: 12.6 % in 1991, 13.4 % in 1996, 10.4 % in 2001, and 10.6 % in 2006 (Guimond 2009a; Statistics Canada 2005, 2009a, b;). It may therefore be found that the demographic explosion of Aboriginal populations is not a statistical artefact resulting from variations in this type of coverage issue. In addition to the undercoverage of the population, there is another type of coverage error, which is specific to Indian reserves and settlements. Since 1981, enumeration is not authorized, is interrupted or is simply incomplete in some Indian reserves and settlements. No census data is available for such Indian reserves and settlements. From one census to the next, the number of such Indian reserves and settlements varies, hence a problem of data comparability over time: eight communities during the 1981 Census, 136 in 1986, 78 in 1991, 77 in 1996, 30 in 2001, and 22 in 2006 (Guimond 2009a; Statistics Canada 2009a). This type of coverage error specifically affects data comparability for Aboriginal populations living on Indian reserves and settlements and as well, but to a lesser degree, data for all Aboriginal populations. The relative growth measures shown here (average annual growth rate, relative growth of cohorts) are adjusted to take this coverage issue into account. Evidently, the observed growth of Aboriginal populations is not limited to fertility, mortality and migration, and is not simply the result of coverage errors. What is the cause of such extraordinary growth? Ethnic mobility is the phenomenon by which changes in ethnic affiliation happen among individuals and families. Relative to a group, ethnic mobility is a multidirectional phenomenon, composed of entries and exits that supply or tap the group. Such changes in ethnic affiliation, or ethnic transfers, affect the size and characteristics of ethnic groups. Different terms are used in the scientific literature to designate that phenomenon: ethnic switching, passing, changing identities and changes in self-reporting of ethnic identity. Two types of ethnic mobility are to be distinguished. The first, intergenerational ethnic mobility refers to the universe of families and may happen when a child’s ethnic affiliation is reported for the first time. Parents and children do not necessarily have the same affiliation, especially when the parents themselves do not belong to the same ethnic group. Intergenerational ethnic mobility has long been a component of the demographic growth of Aboriginal populations in Canada. The Métis, the second largest Aboriginal population, are a ‘product’ of this type of ethnic mobility. Historical, geopolitical, commercial and cultural circumstances related to colonization of Western Canada led to the emergence of this third Aboriginal cultural entity, originally uniting descendents of North American Indians women and Europeans men, very often fur traders. By fostering the emergence of ‘new types of Aboriginal people,’ intergenerational ethnic mobility contributes to the imprecision of ‘Aboriginal group boundaries’ previously noted (Fig. 12.1, Table 12.1). If intergenerational ethnic mobility had not contributed to the demographic growth of Aboriginal populations there would be only two “types of Aboriginal people” and one “type of non-Aboriginal people”, people which origin and identity are: (1) North American Indians, (2) Inuit or (3) non-Aboriginal. Moreover, the intergenerational ethnic mobility, is an ethnic mobility cumulated over several generations. In essence, such phenomenon reflects intergenerational ethnic mobility between Aboriginal and non-Aboriginal populations since the initial contact,8 wherefrom the presence of the Métis. On the basis of an analysis of 2001 Census data on children aged less than five in a census family9 according to the Aboriginal identity of parents, Robitaille et al. (2005) further exemplified this specificity of the Métis group in two respects (Fig. 12.3). First, children of Métis identity are mainly from exogamous unions (i.e. only one parent belonging to the group) whereas North American Indian and Inuit children are mostly from endogamous unions (i.e. both parents belonging to the group). Secondly, one Métis child in nine is from a union where no parent has Métis identity (‘unaffiliated’ union). This specificity is part of the continuity of the Métis group’s history, which is a blend of non-Aboriginal and Aboriginal people who, in the nineteenth century, developed a truly autonomous culture. In underscoring the significance of intergenerational ethnic mobility in the demographic reproduction of the Métis population, it has been shown that this population continues to benefit from a significant contribution due to intergenerational ethnic mobility. The second type, intragenerational ethnic mobility, results from a change in the ethnic affiliation of a person over time. This type of ethnic mobility is responsible for the exceptional growth of Aboriginal populations from 1986 to 2006. Using the residual method, Guimond (2009a) estimated that close to 42,000 (13 %) Indians living outside the reserves in 2001 did not declare themselves to be Indian in 1986 and that over 101,000 Métis (39 %) in 2001 had not declared their Métis status in 1986 (Fig. 12.4). A preliminary analysis of 2006 census data revealed a net ethnic mobility towards the Indian and Métis groups of 45,000 and 78,000 people, respectively, for the 2001–2006 intercensal period (Guimond 2009b). Among the Inuit, whose growth rate is much more modest, the contribution of intragenerational ethnic mobility appears to be negligible. Moreover, this type of mobility seems to occur almost exclusively (90 %) in urban areas. The phenomenon of intragenerational ethnic mobility was also recognized among Aboriginal populations in the United States and Australia. In the United States, several researchers became interested in the exceptional demographic growth of the American Indian population observed between 1960 and 1990 (Passel 1996; Eschbach 1993; Eschbach et al. 1998). They unanimously found that changes in self-reporting of ethnic and racial affiliations are a significant component, sometimes the most significant, of the demographic growth observed in the American Indian population of the United States during this period. In Australia, it was observed that over half (51 %) of the total Aboriginal population growth during the 1991–1996 period is explained by variations in data quality (undercoverage and refusal to participate) combined with changes in ethnic affiliation reporting (Ross 1996). Intragenerational ethnic mobility affected both the size and characteristics of Aboriginal populations. To fully appreciate the statistics on the living conditions of Aboriginal populations and communities, one must consider the possibility that intragenerational ethnic mobility is in part responsible for observed improvements. To illustrate this point, we rely on statistics pertaining to the highest level of education taken from the Canadian census. From 1996 to 2006, the number of Aboriginals aged 15 or over with a university degree increased by 177 %, from 17,235 to 48,015 people. As a result, the proportion of university graduates among the Aboriginal population went from 3.3 to 5.8 %. By comparison, the number of non-Aboriginal graduates increased by 54 % during this period, while the proportion of university graduates (18.5 %) was three times greater than that observed among Aboriginals. These census statistics seem to indicate that more and more Aboriginal people successfully reach the upper levels of Canada’s educational system. Few people would question the beneficial effect of post-secondary education policies and programs, as well as its fostering educational success among Aboriginal people. However, the explanation for the increase observed in the number and proportion of university graduates is not limited to those two factors alone. Intragenerational ethnic mobility also contributed to this increase. In this regard, let us focus the analysis solely on cohorts who are at an age where, for all practical purposes, their schooling is completed, i.e. people aged 35 or over in 1996 (45 or over in 2006). If intragenerational ethnic mobility has no effect on the educational level of an ethnic group, then the number of university graduates within that cohort will remain virtually constant. That is the case for the non-Aboriginal population (Table 12.3): from 1996 to 2006, the number of non-Aboriginal university graduates among the cohort aged 35 or over in 1986 only increased by 1.1 %. Among Aboriginal populations, the number of university graduates rose by 77 % during this period, from 10,520 to 18,600 graduates, while the school attendance rate of Aboriginal people 35 and over in 1996 was only slightly higher than that of the non-Aboriginal population (7.8 % vs. 5.1 %). On the basis of this brief analysis, it is clear that people experiencing ethnic mobility toward Aboriginal populations in 1996 were more educated than people reporting an Aboriginal affiliation in 1996 and in 2006. A similar effect of intragenerational ethnic mobility was observed among American Indians in the United States (Eschbach et al. 1998). Though there is no definitive explanation for ethnic mobility among North American Indian, Métis, Inuit and non-Aboriginal populations in Canada, three types of factors may be considered (Guimond 2009a). First, there are predisposing demographic factors. In Canada’s main urban centres, people of various ethnocultural affiliations meet, form couples and have children. Given their mixed ethnocultural origins, once they are adults those children may ‘choose’ their ethnic affiliation, and such a choice may vary depending on the circumstances. In a nutshell, mixed origins could favour intragenerational ethnic mobility. Social factors could also foster intragenerational ethnic mobility toward Aboriginal populations. Different socio-political events—spontaneous like the Oka crisis in the summer of 1990 or organized like the Royal Commission on Aboriginal Peoples from 1991 to 1996—as well as their media coverage raised public awareness and contributed to restoring Aboriginal people’s pride. Increased public attention and an improved overall perception Aboriginal people have of themselves could therefore have induced some people to report to be Aboriginal people. Finally, political and legal decisions could also further foster ethnic mobility toward Aboriginal populations, especially if such decisions have spin-offs considered to be favourable. For example, the 1985 amendments to the Indian Act had a considerable demographic impact on the size and growth of the Registered Indian population: on December 31, 2000, 114,512 people had acquired (or reacquired) Indian status under the 1985 amendments (INAC 2002). In addition to those amendments to the Indian Act, territorial claim settlements and employment equity policies are also likely to generate ethnic mobility. Aboriginal affiliation is not necessarily permanent and is not automatically transferred to the next generation. As a consequence, ‘group boundaries’ are becoming increasingly fuzzy, and statistical definitions of Aboriginal populations in Canada are increasingly divergent with respect to the related population counts. Ethnic mobility is also the main component of the recent demographic explosion of North American Indian and Métis populations. Excluding ethnic mobility from the analytical framework of the demography of Aboriginal populations prevents an accurate understanding of the imprecision of definitions, the increase in estimates and the recent population growth. The very existence of the Métis, born of the contact between North American Indians and European colonizers, justifies a four-component analysis of the demographic reproduction of Aboriginal populations in Canada: (1) natural increase, (2) migration, (3) variation in the quality of population counts, and (4) ethnic mobility. Could we experience another episode of spectacular growth among Aboriginal populations triggered by ethnic mobility? Because of the limited knowledge of this phenomenon, it is impossible to predict. Nobody foresaw the demographic boom of the 1980s and 1990s. With hindsight, it is observable that large-scale events with much media coverage unfolded at the same time. If such events triggered the demographic explosion, then future events, especially legal decisions that would grant special rights to certain people, may generate a new wave of ethnic transfers within the population. In this regard, it will be interesting to see how the Métis, an Aboriginal group born of intergenerational ethnic mobility, whose growth continues to amply benefit from this phenomenon, will evolve demographically over the coming years. If the experience of the American Indians of the United States is a sign of what is yet to come—positive contribution of intragenerational ethnic mobility to population growth between 1960 and 1990—it can be expected that ethnic mobility will contribute significantly to the growth of Aboriginal populations in Canada long into the new millennium. 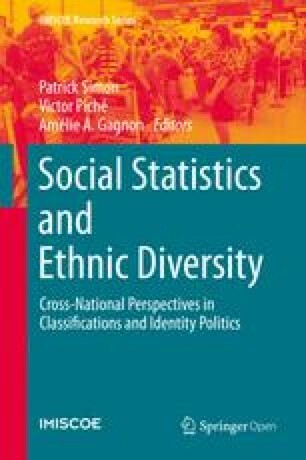 More generally, the multicultural composition of Canadian cities will without a doubt be fertile ground for future ethnic mobility and for the growing fuzziness of ‘group boundaries.’ In all likelihood, a growing number of urbanites with different ethnocultural affiliations, including Aboriginal people, will form couples and raise children in a multicultural family setting. How children from ‘mixed’ families consider their ethnic affiliation once they are adults will have a considerable impact on the ethnic composition of our cities and more generally Canadian society. As shown in the evolution of terms used to represent Aboriginal populations. See Goldmann (1993) and Guimond (2009a). As indicated by the absence of Métis in most censuses before 1981. The 1986 Census data on Aboriginal identity were never officially disseminated, partly because of reporting errors detected within the non-Aboriginal population (Crégheur 1988). The data on the Aboriginal identity of populations of Aboriginal origin are considered reliable (Guimond 1999). The official number of people of Aboriginal identity in the 2006 census published by Statistics Canada totalled 1,172,790 people. This number is based on the hybrid definition of Aboriginal identity that also includes people who did not declare an affiliation with an Aboriginal group but who were registered Indians under the Indian Act or who declared being a member of an Indian band or First Nation (Statistics Canada 2007). This rate is obtained from the highest gross birth rate (60 per 1,000 people; Pressat 1985, 246–247; Tapinos 1985, 227) observable in exceptional conditions—young population, married young and using no form of contraception—from which the lowest gross mortality rate is subtracted (5 per 1,000 people; United Nations 1997). Such a combination of high fertility and low mortality has probably never been observed. In practical terms, the contribution of international migration may be considered to be nil. In the Censuses of 1991 and 1996, less than 5,000 people of Aboriginal origin reported to be living outside the country 5 years before (Statistics Canada, special tabulations). If the net undercoverage rate varies, the error of estimates in population growth rates is proportional, but of the opposite sign of such a variation. An increase in undercoverage results in an under-estimate of growth, while a decrease in undercoverage results in an over-estimate of growth. By simplifying a little, since there were undoubtedly multiple Aboriginal identities before Europeans arrived. Corresponds to a married or common-law couple, with or without children, or a single parent living with at least one child in the same dwelling. Statistics Canada. (2007). 2006 census dictionary (Catalogue no. 92-566-XWF). Industry Canada. http://www.statcan.gc.ca/bsolc/olc-cel/olc-cel?catno=92-566-X&lang=eng. Consulted on April 6, 2009.